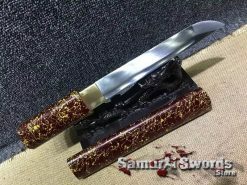 You are looking at a handmade samurai Tanto that has a full tang blade that provide strength and rigidity, thus creating a good and solid piece to enjoy practicing with. 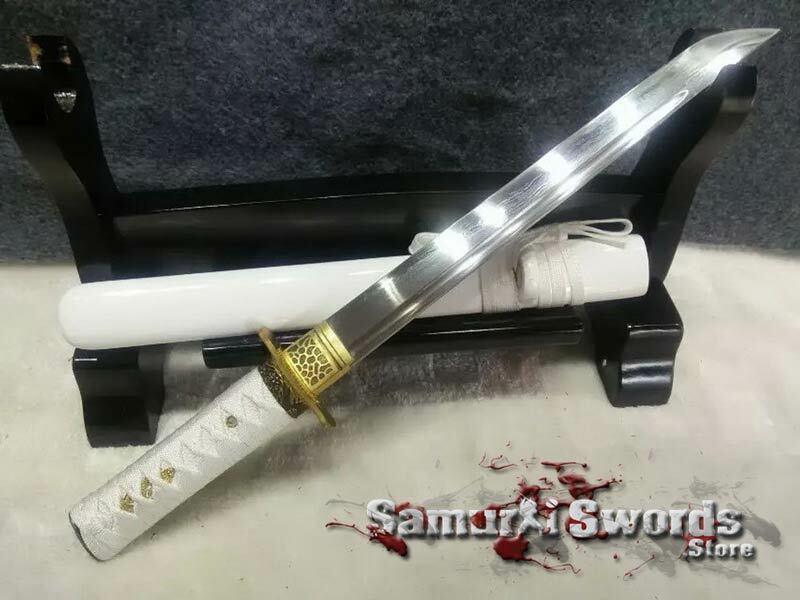 or If you are a collector planning to add it to your set of swords, this Tanto is definitely a good addition to your collection. 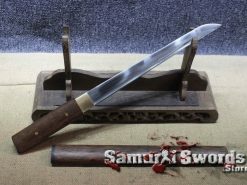 The Tanto has a blade made of folded clay tempered T10 steel which is also referred to as Tool Steel or High Speed Steel. 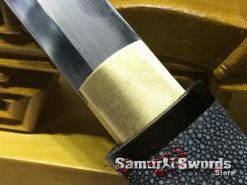 This type of steel has a carbon content of 1% and it has increased artistic value because of the unique hada (grain pattern) on the blades surface. 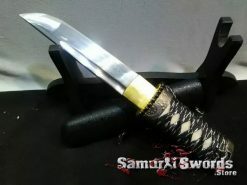 The blade is sharpened thoroughly to provide you with a battle ready tanto. 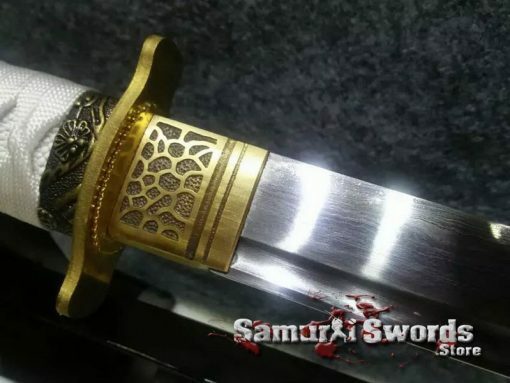 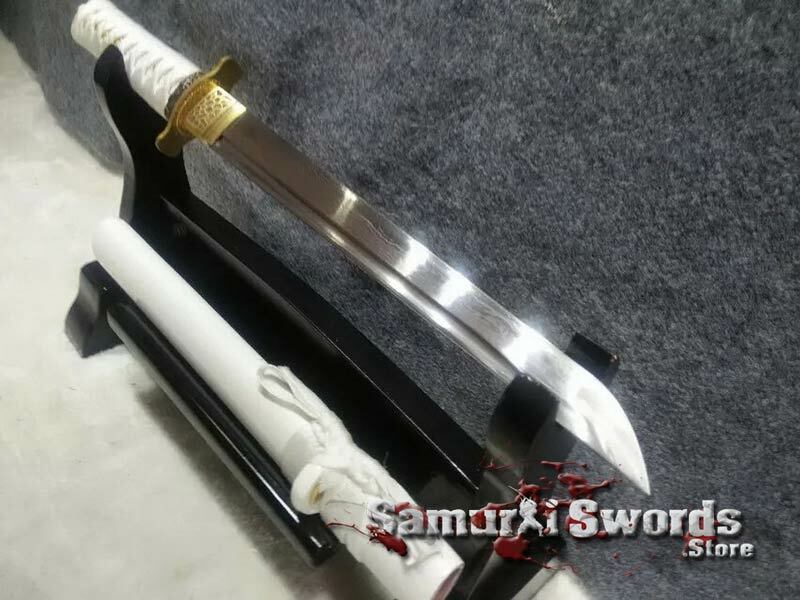 Its blade has a measurement of thirty-one centimeters and its width is 3.2 centimeters; the tsuka has an adequate length measuring sixteen centimeters and it weighs a total of just one kilogram which makes this small samurai sword easy to wield. 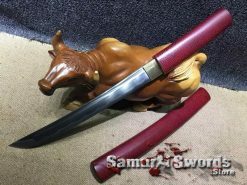 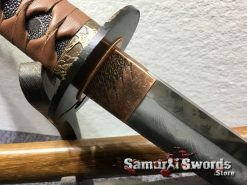 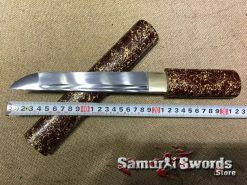 The samurai tanto also has a bohi which generally works to make the blade lighter; it also helps add a little more agility and speed to the samurai blade for better wielding during practice. This Tantos tsuka is firmly covered with quality white ray skin that is also wrapped with a classy white rayon silk. 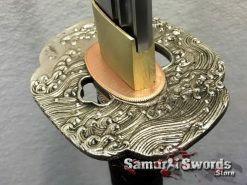 It also features full fittings made from brass, except for the menuki which is made of metal. 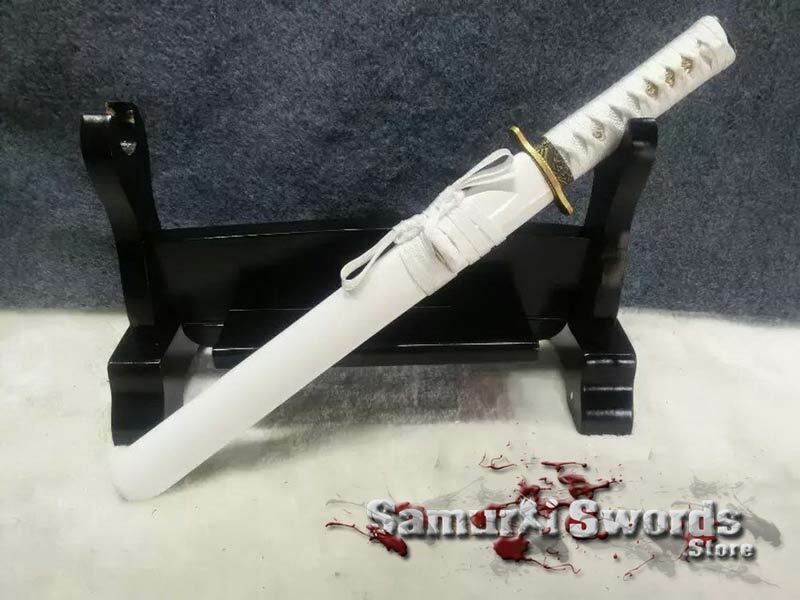 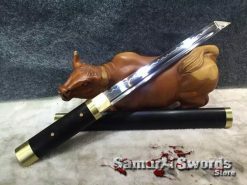 More reasons to appreciate this samurai Tanto is its aesthetic beauty and elegance since it features a strong and sturdy white saya made of good quality materials. 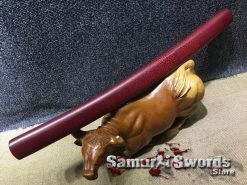 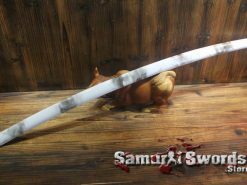 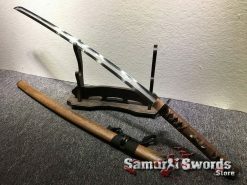 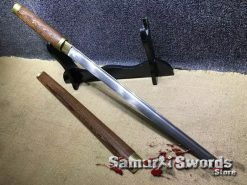 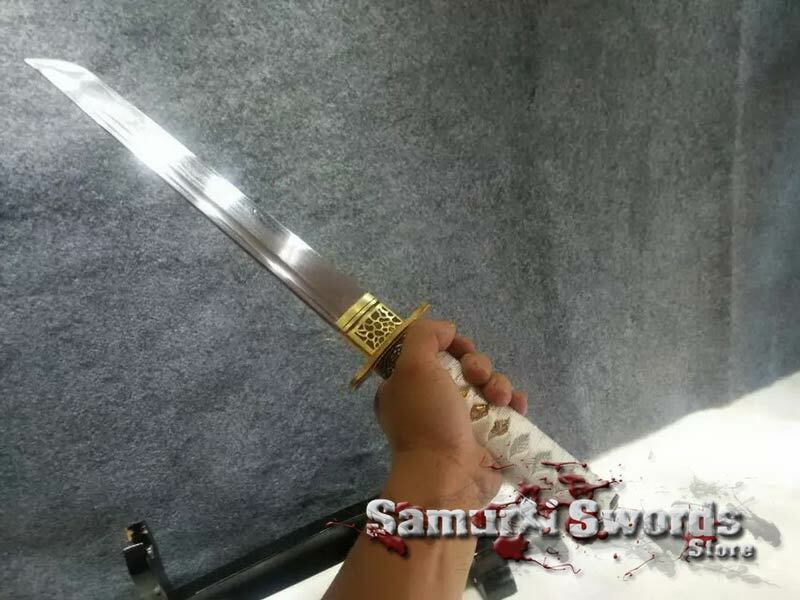 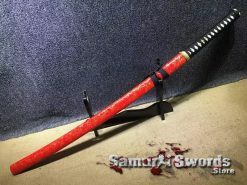 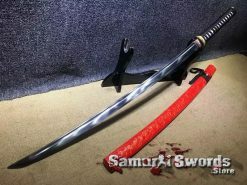 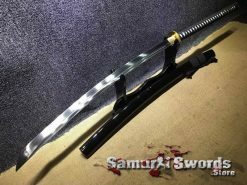 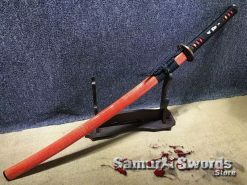 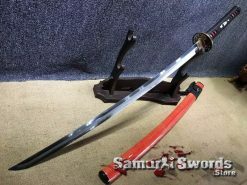 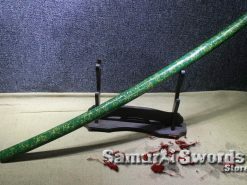 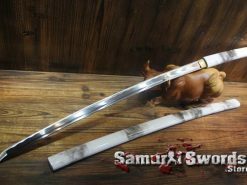 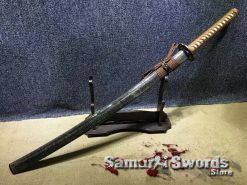 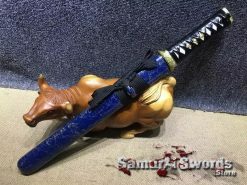 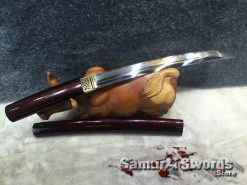 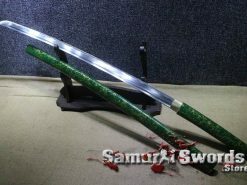 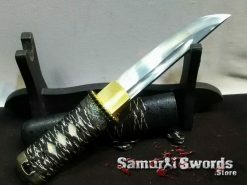 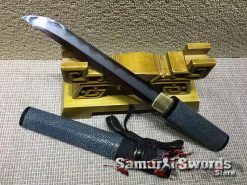 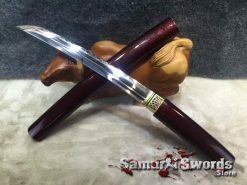 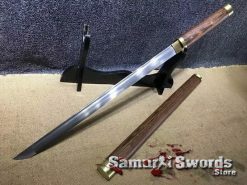 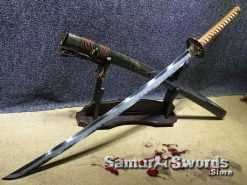 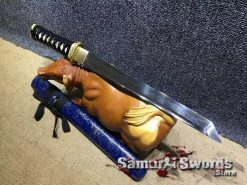 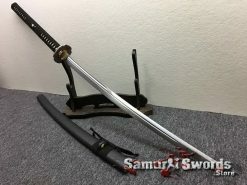 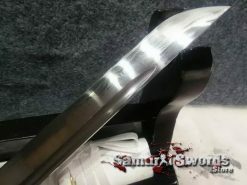 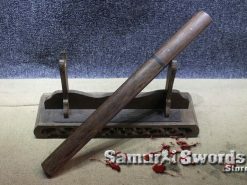 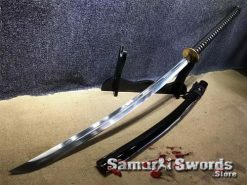 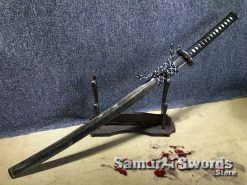 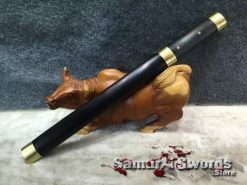 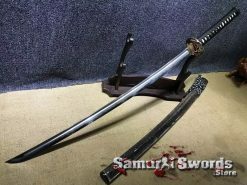 The saya is present to protect the blade from scratches and breakages when the weapon is not in use; additionally, it also includes a free silk sword bag.